You do inspire me! I think I am about same "grade" as you for experience. 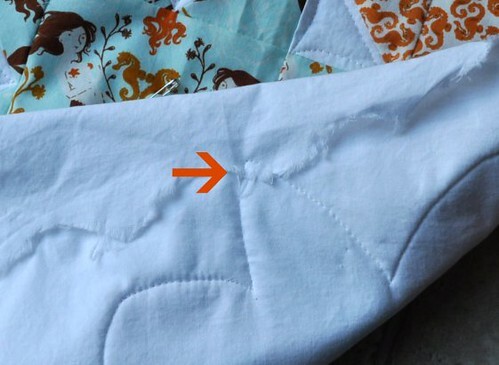 I have also just learned about FMQ and can't wait to get my quilt done to do that! I have practiced on a small patch and it seems easy enough, but with a full size quilt..I know it will be MUCH different. I enjoy reading your blog and will be starting one of my own just to document what I have done and maybe help others as you have. 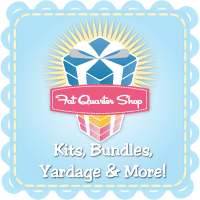 Keep my posted on your journey to being a great quilter! 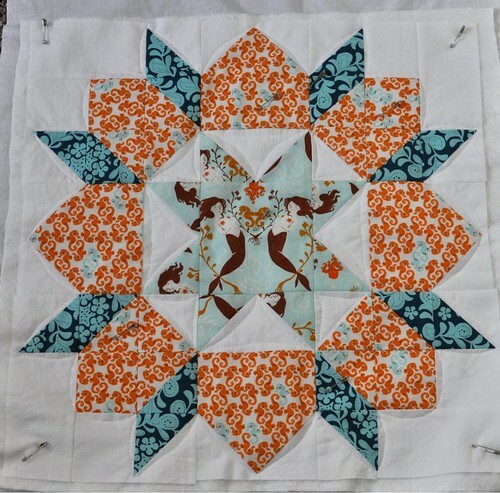 I love the way you quilted your block! I would never know you're a beginner. The fussy cut center block is so cute as well! Nice job. I am not looking forward to the end of the Free Motion Quilting Month. I want it to be a Free Motion Quilting YEAR! I have loved these posts so much, thank you! 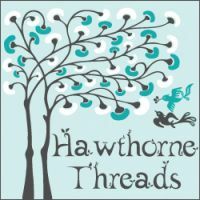 Have you ever read Heirloom Machine Quilting by Harriet Hargrave? It is an oldie but goodie and the first book I read when I started quilting. Great examples too. I just bought the foot for my machine so that i can teach myself FMQ. I'm nervous! I love all of your tips, though. i absolutely have done that before!!! I love the swoon blocks. i want to make one,just one and use it for something.....maybe on the wall.